HELLO! It’s been a while (moving, adjusting, dropping the ball, chilling…etc, etc.) and I thought I’d ease back into things with a margarita because a) it’s Cinco de Mayo this week (also, how is it MAY ALREADY?! and why does the passage of time always get me?) and b) why not? 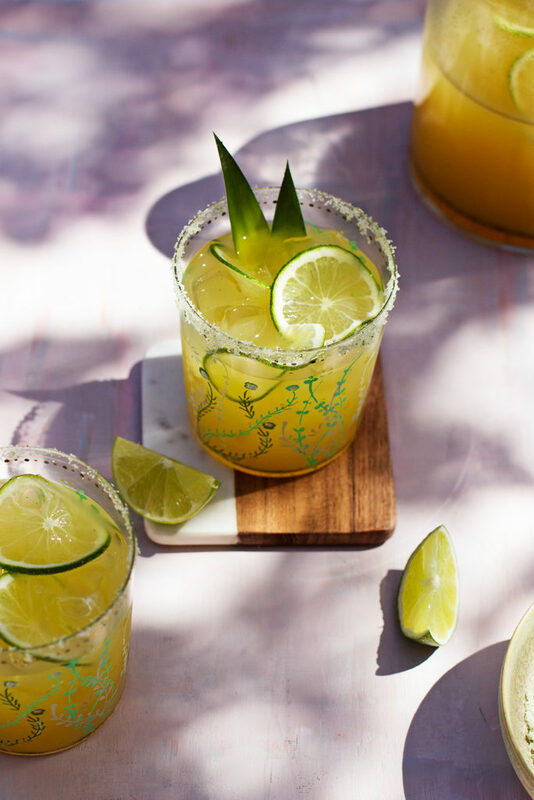 These Pineapple Vanilla Bean Margaritas are my offering for this years #MargaritaWeek hosted by the lovely and inspiring Kate of ¡Hola! 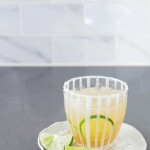 Jalapeno–I love seeing snippets of her life on IG and be sure to check out her stunning Strawberry Pink Peppercorn Margaritas asap. 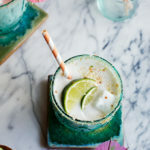 These margaritas start by roasting pineapple with sugar and the insides of a vanilla bean to make a heady syrup that sweetens and flavors this cocktail. The vanilla bean speckled pineapple syrup is cooled and mixed together with fresh lime juice, pineapple juice, and tequila…of course. 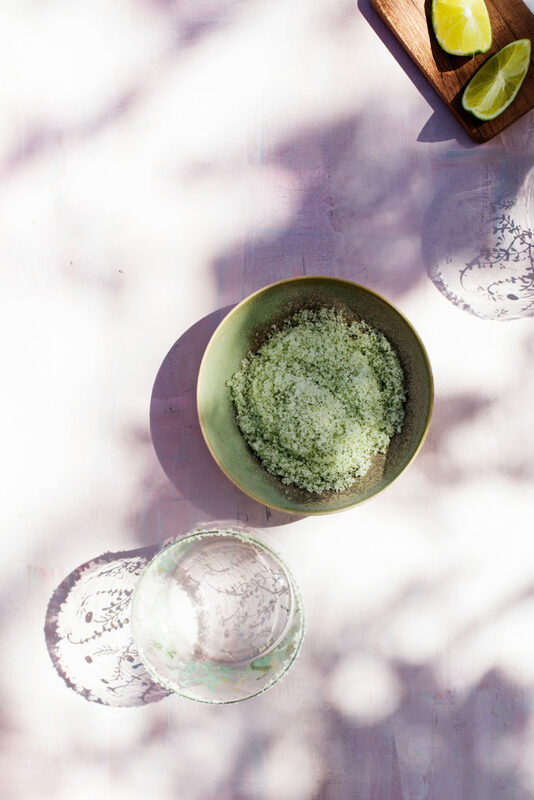 Then, glasses are rimmed with a salted mint sugar for a pop of sweet-salty herbal brightness. 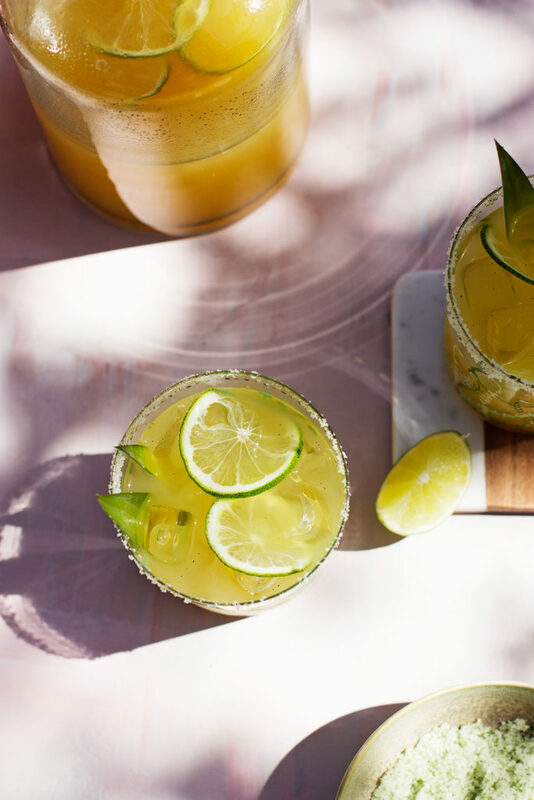 Pineapple gets roasted with sugar and vanilla bean to make the syrup that sweetens this tropical margarita. Make the pineapple syrup several hours, or even a day, ahead of time. Preheat your oven to 425°F. combine the chopped pineapple, sugar, and vanilla bean plus scraped seeds in a baking dish. Roast the pineapple for about 1 hour, until the juices are bubbling and the pineapple has cooked down by about half. Cool and strain out ½ cup of the syrup, save the remaining syrup and pineapple for another use (like stirring into yogurt, topping ice cream, or waffles!). Store the cooled syrup in a lidded jar until ready to mix. In a pitcher stir together the pineapple juice, tequila, lime juice, water, and pineapple vanilla bean syrup (to taste). 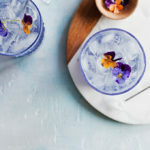 Serve on the rocks in salty mint sugar rimmed glasses. 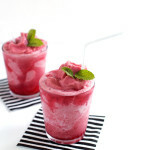 In a food processor pulse the sugar, mint, and salt together until the mint is finely chopped. To rim, wet the edges of your glasses with a wedge of lime and dip into the sugar. 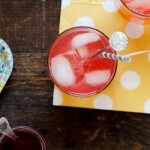 I’m looking for an easy tropical drink that I can make for a party of about 50 people… Any suggestions?? Yessss! 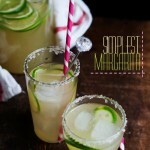 Yum what a fabulous spin on a margarita I would of never thought to make this combo. Thanks for sharing!